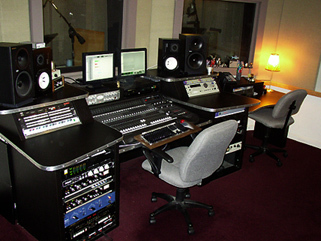 I've been going to different studios here in New York to find out where I want to record. It's fun talking to different engineers about the new project and hearing what they think of the ideas. Some of them sit and listen to each track; others listen for a few seconds and then skip to the next song. Regardless, I'm continually astounded/overwhelmed by all their equipment. I guess I just like being in any type of studio, to be in a space where an artist works and creates; and getting to see so many different ones over the past couple weeks has been very entertaining.